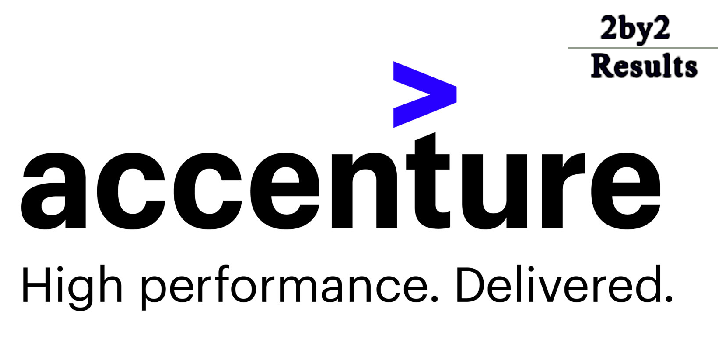 Accenture Recruitment 2018 Freshers - Candidates who are looking to work in Accenture Limited can apply online for Accenture Off Campus drive 2018. Accenture Off campus are held in various Colleges and in Accenture Campus and Students can apply for Accenture Jobs through online mode. 2by2results.com provide Notification regarding Accenture off campus registration link for all freshers who are looking for Jobs. Bookmark this page, to get more updates on Accenture recruitment 2018. Know more about Accenture Recruitment 2018 in this page. We have provided details regarding Accenture eligibility criteria, Accenture pay scale 2018, Accenture recruitment across India, Accenture interview venue, Accenture Job registration link, Accenture salary package details and many more. BE / B.Tech / ME / M.Tech/MCA in any Disciplines. No pending backlogs at the time of appearing for the Accenture Selection process. It is mandatory to declare pending backlogs, if any, in the Accenture Application Form. It is compulsory to declare gaps/breaks, if any, during your academics and work experience in the Accenture Application form. Maximum up to 24 months break may be permissible for valid reasons (proof required). Minimum Age-18 years and Maximum Age-28 years at the time of appearing for the Accenture Selection process. The Accenture selection process consists of various levels. Find the below Steps to register for Accenture Off Campus drive 2018. Accenture will send Hall Ticket mentioning Interview date, time and venue location if you are selected. Follow the below procedure carefully, to register for Accenture off campus drive 2018. Log on to http://www.accenture.com and click on IT. Dear aspirants, we wish you good luck for your Accenture off campus 2018. For more latest freshers jobs, you can bookmark (Ctrl+D) our website. 2by2results.com will provide Accenture Exam Interview Pattern and Exam Test Pattern in our website. Aspirants can make use of our Accenture Placement Question Papers & aptitude Test Syllabus to prepare for Accenture Off campus Test drive 2018.